Citation: C N Trueman "James Meredith"
James Meredith was to make his name in civil rights history by being the first African-American to attend the University of Mississippi. James Meredith, by simply doing this, was putting his life on the line. Meredith was born in Kosciusko, Mississippi, on June 25th, 1933. From 1951 to 1960 he served in the American Air Force. After this, Meredith studied at Jackson State College for two years. Following this, he applied to start a course at the University of Mississippi. He was rejected twice. Meredith filed a complaint with the courts that he had been rejected by the university simply because he was black. His complaint was rejected by a district court, but on appeal, the Fifth Judicial Circuit Court supported him and ruled against the district court stating that the University of Mississippi was indeed maintaining a policy of segregation in its admissions policy. The issue did not end there – if anything, the whole controversy was inflamed still further when state officials and students at the university voiced their opposition to Meredith being given a place there. Threats were made against Meredith and Robert Kennedy, the Attorney-General, sent federal marshals to protect Meredith. Riots followed and 160 marshals were wounded (28 by gun shots) and 2 bystanders were killed on the Oxford campus. Regardless of this, Meredith attended the university and graduated in 1964. However, being the focal point of such racism seemed to ignite a passion in Meredith. In March 1966, he started his ‘March Against Fear’ from Memphis to Jackson to protest against racism – especially the violence many African-Americans faced when attempting to register to vote. Shortly into his march, Meredith was shot and was hospitalised. However, his place on the march was taken by such figures in the civil rights movement as Martin Luther King and Stokely Carmichael who determined to finish the march on Meredith’s behalf. Meredith rejoined the march on June 25th, 1966 after his hospital treatment. On the following day they reached their target – Jackson in Mississippi. After this, James Meredith continued his further education at the University of Ibadan (from 1964 to 1965) in Nigeria and at Columbia University (from 1966 to 1968). He gained A LL.B from Columbia University. By the end of the 1960’s, Meredith became a stockbroker and effectively stopped being a civil rights activist. He joined the Republican Party and attacked white liberals for being the ‘greatest enemy’ of African Americans. James even opposed making the birthday of Martin Luther King a national holiday in America. 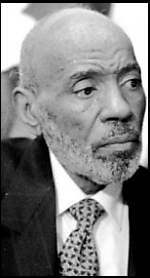 In March 1997, James Meredith presented his papers to the University of Mississippi.